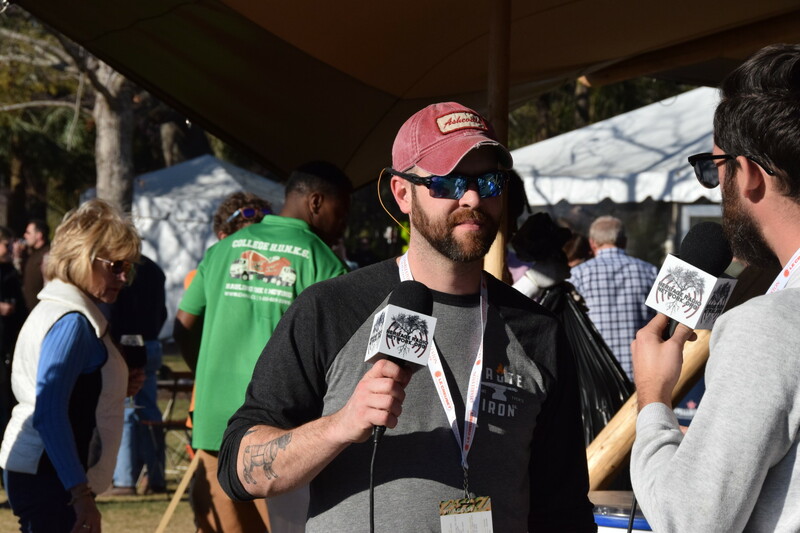 Chef Edgar Pendley of Nashville’s Urban Grill joins host Eli Sussman for a chat around the Springer Mountain Farm campfire at Charleston Wine + Food. Urban Grub is a casual fine dining spot located in a renovated carwash in Nashville’s booming 12 South district. The indoor-outdoor restaurant-bar opened as a signature landmark on 12th Avenue South in the Spring of 2012, as a project led by seasoned restaurateur Jay Pennington and Chef Edgar Pendley. Chef Edgar Pendley has created a diverse menu featuring everything from fresh seafood and house-made pasta to tender chops and prime in-house dry-aged steaks. In the back-of-house at Urban Grub, you’ll find more than your typical commercial kitchen. Pastas are made in house in a vintage pasta machine, the meat pantry is well stocked with freshly butchered pigs, goats, lambs and cows, and the meat curing room has slabs of bacon, prosciutto and culatello aging and curing in preparation for its debut on The Grub’s world-class charcuterie boards.